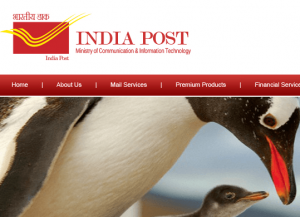 Indian Post Office has been one of the most trusted financial institutions in the banking sector of India. Various products and services of the post office have gained great responses, in spite of stiff competition from the public and the private sector. By analyzing some key advantages associated with "Time deposit accounts" (fixed deposit account), one can easily distinguish Post office services from other financial institution. Below interest rates are effective from 1 January 2019. Always, people have a misconception about fixed deposits, as it being a scheme understood and used by rich, wealthy people. Indian Post Office specifies a minimum cap of 200 Rupees, which is quite affordable for most investors. So, if a small amount of money created an obstacle for making time deposits, investment in the post office can be the best alternative. Certainly, post offices have more branches throughout India, than any other leading bank today. If your job is unstable and there is a high vulnerability for transfer schedules to different regions, post offices outweigh other banks. Not only post offices are facilitated for most localities, but it is also very easy to transfer a post office account to another post office. Also, one can open any number of post office accounts. The interest rate offered by the post office is quite good. It is 7.00% (subject to change based on market conditions) for the first 3 years and then 7.80% from the 5th year. The tenure or duration of the fixed deposit is also quite flexible, unlike the recurring deposit schemes. The interest rates are competitive compared to other financial institutions. For deposits directed below 5 years, one is eligible for tax benefits under the Section 80 C. To further minimize tax liabilities or tax deducted at source, one should always consider long term investments for 5 or more years. The term deposit account can be closed after the term of 1 year, without any penalty. In case, the account is closed before the term of 1 year, interest rate according to the savings account will be credited. Fixed deposits at Indian Post Office are highly liquid and can be used for availing financial assistance (loans) during the crisis, quite easily. I want to know the revised PPF interest in 2018. I want to deposit 1 lakh for 2 years how much interest will get? I WANT TO DEPOSIT 1 LAC FOR ONE YEAR HOW MUCH WILL GET INTEREST AND RATE ? I want to deposit 100000 for 15 years how much interest will get ? I want to posit 50000 for 11 years how much get. I want deposit 4 lakh for 2 yr..how much interest I will get ? Hi i wants to deposit 100000 for 3 years what is the interest could you help. I deposit Rs.300000/ for two years. what is the interest rate? I want to deposite 50000 .How much will i get after 5 years.? Sir, I want deposit 50000, how much I will get after 5years. I Want To Deposit 50000.In How Many Years it Will Get Doubled. what is the annual fixed deposit rates for post office. I want to deposit 60000 for 5 years then how much interest will get? i want to deposit 35000 for 5 years how much int rest will get?